Norman Lockyer Observatory, Sidmouth Devon. In August 2015 I visited this historic observatory during their annual open day and astronomy fair. I would strongly recommend a visit here. 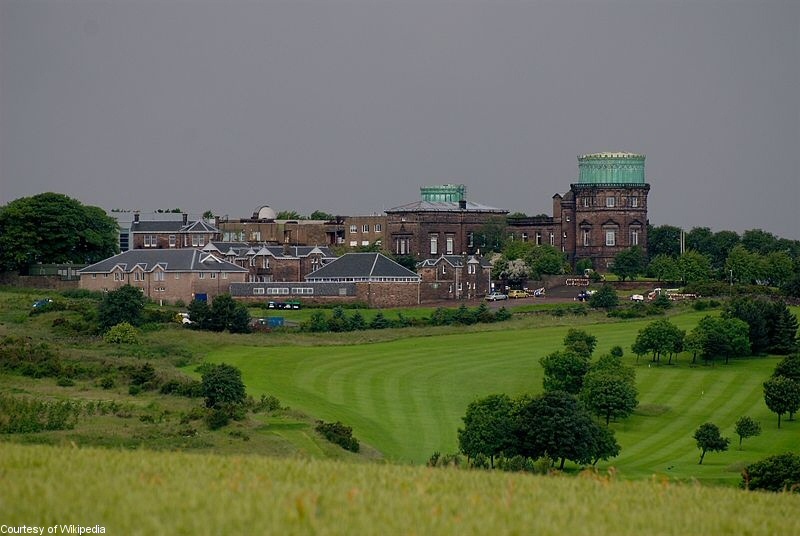 The site has several domes housing some historic telescopes, including two from the nineteenth century, one being a 10" refractor which dates back to the Royal College of Science in London (the precursor to Imperial College) where Norman Lockyer set up an observatory. There is also a 6" refractor from a similar date and a more modern 20" reflector. The site also has an excellent planetarium. The annual astronomy fair attracts lots of visitors and also has a marquee with displays etc. Auckland Astronomical Society.I visited here in June 2014. The observatory is part of a complex called the Stardome Observatory. I managed to see some of the southern skies. Click for more details and photos. Chilbolton Observatory. This is located quite close to where I live and is an interesting observatory with a mixture of radio telescopes and weather equipment. They only open for special open days, which you must book. The main instrument is a 25m fully steerable dish, which these days is used for weather research. Recently (2010) they installed a LOFAR radio telescope. They have low and high frequency versions, which are linked with other instruments around the world. Meteor Crater, Arizona. The world’s best preserved meteorite impact site just minutes from Interstate 40 in Northern Arizona near Winslow. Meteor Crater is the result of a collision between a meteor traveling at 26,000 miles per hour and planet Earth approximately 50,000 years ago. The Crater is nearly one mile across, 2.4 miles in circumference and more than 550 feet deep. Flagstaff, Arizona. 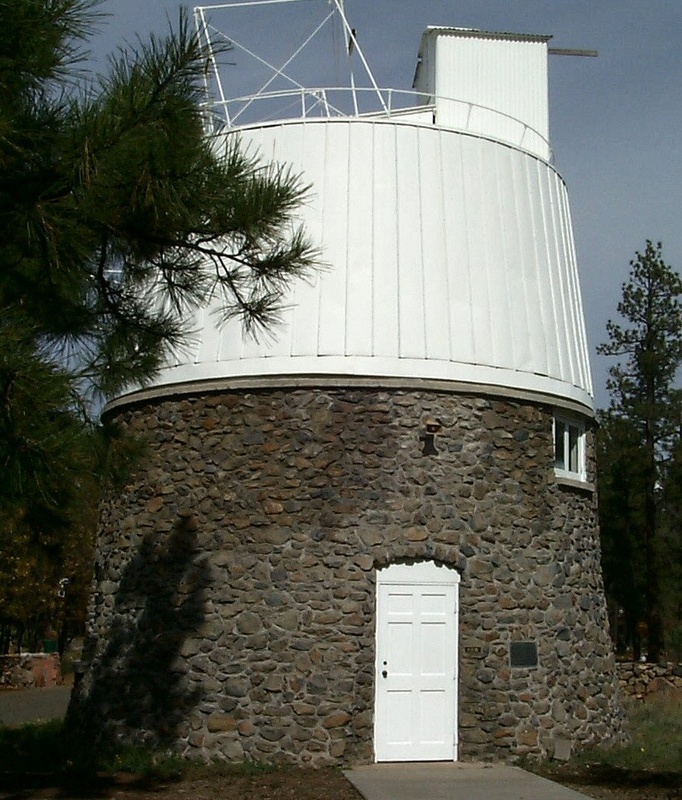 Situated over 8000' high the Lowell observatory at Flagstaff is where Pluto was discovered in 1930. The observatory was built in 1894 by Percival Lowell. He spent his first years there drawing what he believed to be canals — evidence of intelligent life on Mars. Lowell was wrong about that, but he was right that the Solar System extended beyond Neptune. He didn’t live to see the discovery of Pluto here in 1930, although he did inspire the search for it. Pluto was discovered by Clyde Tombaugh on February 18, 1930. The Somerset Space Walk. Situated on the towpath of the Bridgwater to Taunton Canal. The 'Somerset Space Walk' is a scale model (530 million:1) of the Solar System centred around the 'Sun' at Maunsel lock with the planets located along the towpath in both directions. The Space Walk was designed by local man, Pip Youngman, in order to demonstrate the scale of the Solar System in an interactive way. The trail can be walked either from Taunton's Brewhouse Theatre to Maunsel Lock (Pluto to the Sun) or from Bridgwater's Morrison's Supermarket to Maunsel Lock (also Pluto to the Sun) or of course, vice versa. From Pluto to the Sun from either town is an 11 kilometres (6.8 mi) walk. The positions of the Planets are marked by stones like the ones on the left. Herschel Museum, 19 New King Street, Bath. 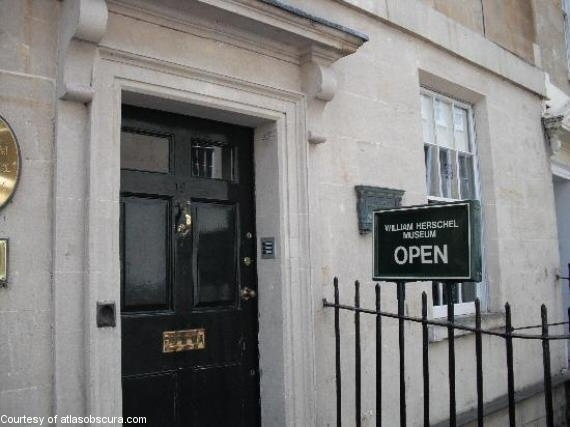 The home of famous astronomer William Herschel (1738-1822). From this house Herschel discovered Uranus. The Royal Observatory, Edinburgh houses a university astronomy research group, an establishment of a UK Research Council and a Visitor Centre. It is located on Blackford Hill, just south of the city centre. 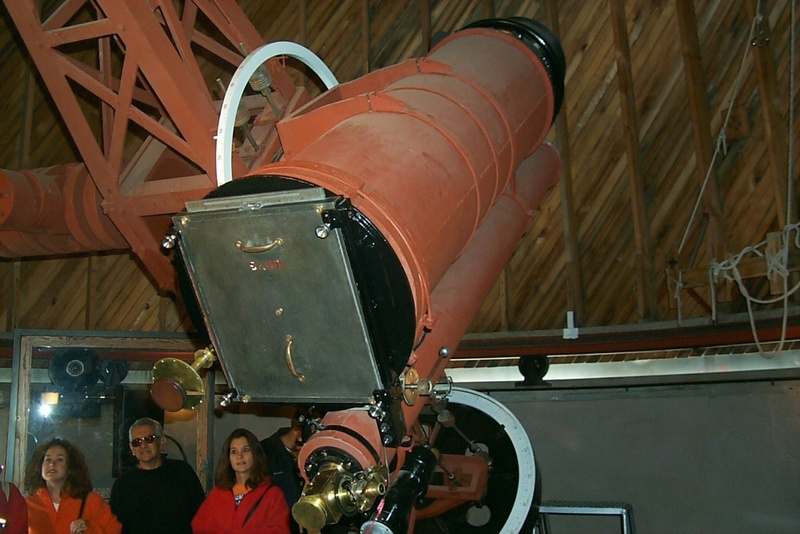 It houses a 50cm reflecting telescope (only working telescope) and a 90cm Cassegrain telescope installed in 1930. 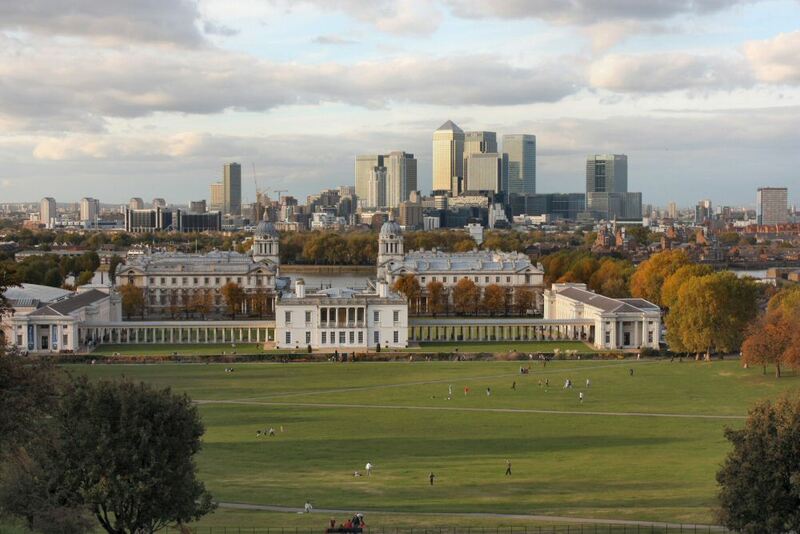 It is also the venue of the annual Astronomy Festival each September. 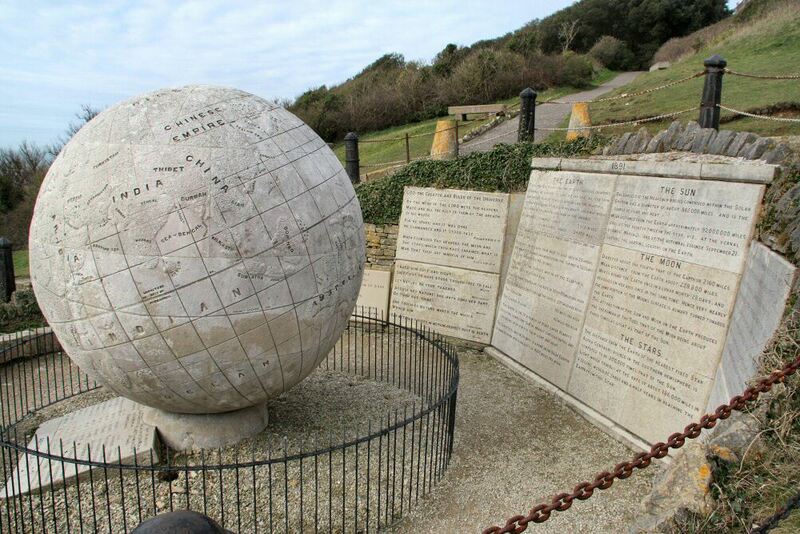 Durlston Head, Swanage, site of the Great Globe. It is one of the largest stone spheres in the world. The Great Globe is constructed of Portland stone. It weighs 40 tons and is 10 feet (3.0 m) in diameter. Its surface is carved in detail and lettered to show the continents, oceans and certain more specific areas of the world. Various Astronomical stone plaques surround the dome. Also home to the Wessex Astronomical Society Observatory, which can be found adjacent to the cafe. National Air and Space Museum, Washington, USA. Part of the Smithsonian museum complex in Washington this is an absolute must to visit. Full of the most amazing space and aircraft exhibits. The Smithsonian Institution's National Air and Space Museum maintains the largest collection of historic air and spacecraft in the world. It is also a vital centre for research into the history, science, and technology of aviation and space flight, as well as planetary science and terrestrial geology and geophysics. Stamford Observatory, Stamford, Connecticut, USA. The Stamford Museum, which is the site of the Stamford observatory, was founded in 1936. 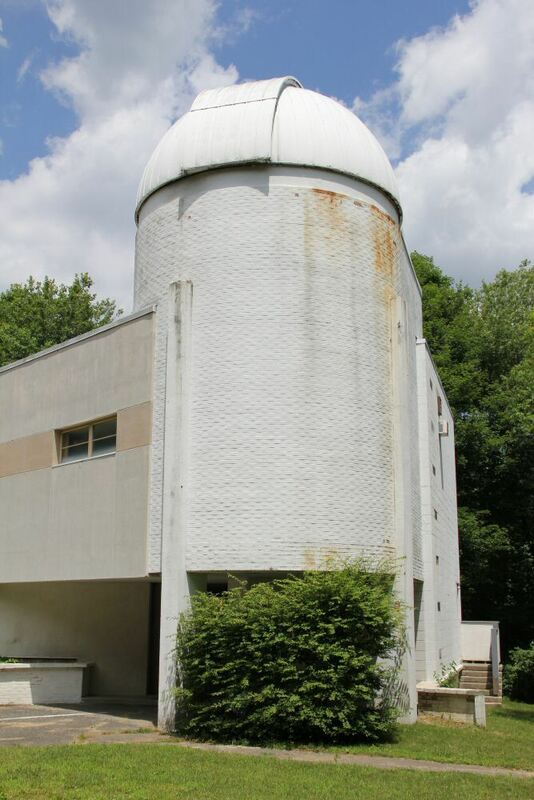 Operating since 1965, the Stamford Observatory, has been open to the Public every Friday night from 8 to 10 p.m. (weather permitting)! They have upgraded the drives of the 22-inch telescope so it can now be completely controlled by computer, as well as manual control with a joystick.